The UPS Store in High Point can make college life easier with our move-in, move-out and student storage solutions. Whether you need a secure place to store your belongings during summer, before you get to campus or when you're moving out, we can help. We can also help you ship your items to where they need to go, whether across country or just across town. Contact us or make your storage reservation online today to get started. No more purchasing airline tickets by your parents, running around renting vehicles, storage units, etc.! We will pick up and store or ship your items over the summer and return the items in the fall, prior to the start of classes. What benefits does The UPS Store offer? - PROFESSIONAL - Certified pack and ship experts. - FREE storage pickup and delivery. - FREE boxes, supplies and tape. - AFFORDABLE PRICING, No upfront deposit required! NO MINIMUMS! - High Point University PASSPORT PARTNER - We are strong partners with HPU. Pay with your Passport available. WE ALSO OFFER an INBOUND SHIPPING PROGRAM for High Point University! Ship your items ahead of your arrival on campus. ​MAKE A STORAGE DELIVERY RESERVATION NOW! WE PICK IT UP. WE STORE IT SAFELY. WE BRING IT BACK. 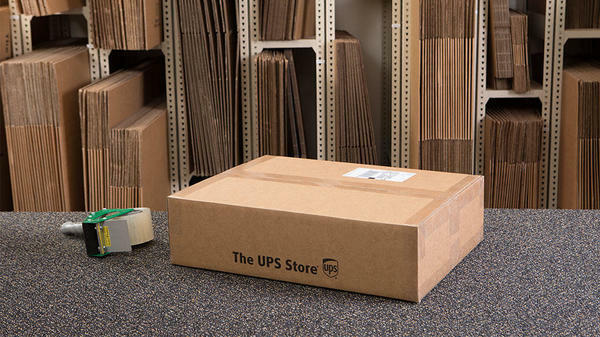 Summer storage is easier with The UPS Store! 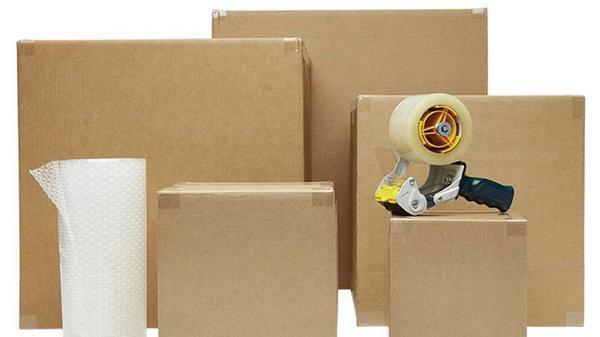 Our no-hassle service makes it simple: We provide boxes, tape, and everything you need to pack up your stuff. You tell us when to pick it up and when (and where!) to bring it back. We'll take care of the rest! Your belongings will spend the summer safe and sound in our secure, climate-controlled storage facility. 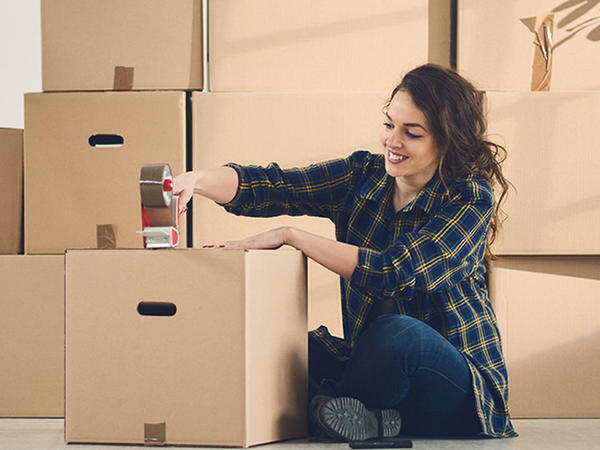 Our flexible, affordable plans offer convenient storage options for busy students and include boxes, tape, pickup, storage, and delivery. Have something that won't fit in a box? No problem: We can pick up and store your bike, furniture, refrigerator, futon, and other over-sized belongings until you're ready to move them into your next place. School storage just got a whole lot easier! Reserve your storage space today! 1. Reserve online in five minutes or less with our simple sign-up form. 3. Stop by our store, 2 miles off HPU main campus. We offer extended storage which is helpful for study abroad students. - You must tape the top and bottom of all your boxes. Please do not fold over flaps. If you are not sure how to properly close your box, one of our associates will gladly show you. - You must completely fill all spaces in the box to avoid damage. This can be done with paper, peanuts, bubble wrap, etc. These supplies are available at our stores and mobile stations. - Reusable boxes must close completely without bulging. - Fragile items including ALL TV’s and MONITORS must be boxed. We can provide packing and boxing service for you if you are unsure how to safely pack fragile items. - Particle board/pressed wood furniture (i.e. boxed furniture you buy and put together at home) is not made for transporting. If storing these items you must disassemble them prior to arrival. Please note if you do not take the item(s) apart, we will do our best to safely move and store them, but are not liable for damage. - All refrigerators must be defrosted, dry, and empty. - Liquids may be stored with lids tightened & sealed in air tight containers properly protected in storage box marked “liquids” (with marker) on the outside of the box provided they are non-hazardous (i.e. toothpaste, shampoo, lotion etc.). *Hazardous material & liquids are prohibited. - Dressers and desks need to be empty. If drawers are filled, additional fees will apply. - Should you find damage to your items, you must save the box and all packing materials and notify us within 12 days of your delivery. In addition, you will need to provide proof of the item(s) value or repair cost(s). - No food of any kind is allowed in any boxes. - Write your name and telephone number on the outside of each box with a MARKER. If storing a suitcase or duffel bag, please write your name and phone number on a piece of paper and place inside the suitcase or bag. - Fragile items should have at least 3 inches of padding on all sides. - All electronics should be in original packaging. If you do not have original packaging, you want at lease 3 inches of bubble wrap on each side. - If you can’t lift it, we can’t lift it. There will be a surcharge on boxes weighing over 50 LBS. Use small boxes for books and heavy items. - It is a good idea to keep track of what items you pack in each box. This can help you when deciding the insurance value of your storage. Maximum insurance per box/item is $2,000 and $10,000 for the entire storage contract. Ship your items to The UPS Store 2815 prior to arriving at school!. You can PICK UP from our store or we can DELIVER to you dorm! - RECEIVING FEE - $5.00 per package. (This is basically our fee to receive your packages in our store. This fee applies to pick up and delivery options. - DELIVERY FEE -$30.00 - delivery of items on Sat., Aug., 17, 2019 or Sun., Aug., 18, 2019 (standard delivery dates). $45.00 - delivery of items on dates other than those listed above. Delivery fee is in addition to the receiving fee of $5.00 per package. -STORAGE FEE - $40.00 per month. If items remain in our store in excess of 2 weeks, storage fees apply at $40.00 per month. - On-campus deliveries of items shipped to our store are made by RESERVATION ONLY. Contact Us to make a reservation. - Reservations or changes to existing reservations must be made at least 2 business days prior to requested delivery. Email communications do not guarantee a reservation or change to a reservation. - Call us for delivery time slots. Students will be called and/or texted when drivers are at their dorm area. Number your boxes with marker. Example: If you have 4 boxes, mark 1 of 4, 2 of 4, 3 of 4, 4 of 4.
Who is The UPS Store? The UPS Store is a shipping and packaging center located in High Point, 2 miles off HPU Campus. College students have relied on The UPS Store for help with college move-out and for shipping items home throughout the year. We are now pleased to offer storage services to High Point University Students. Our college storage service is a natural extension of our shipping, packaging, and college move-out services, backed by the dependability and commitment to customer service that you've come to expect from your neighborhood The UPS Store. - What services does The UPS Store college storage provide? The UPS Store provides affordable semester and summer storage for your personal items in a secure, climate-controlled facility. We offer free pickup and delivery to your on-campus or off-campus location, and we supply boxes, tape, and labels, all included in the storage cost. We can also package and ship any items that you wish to take with you for the summer, as well as anything you may need later from your storage, upon your request. -How does The UPS Store college storage work? Simply reserve your storage space using our easy online form or contact the store nearest you, and we'll be happy to answer your questions. You'll be able to specify your preferred pickup date and location when you make your reservation. We'll contact you to confirm your reservation and arrange a time about 7 days before your pickup date to drop off the boxes, tape, and labels you'll need (you may also use your own boxes and containers). For miscellaneous items that can be stored unboxed, we'll contact you to confirm your pickup time, then collect payment when we pick up your items. Once we pick up your items, we'll store them in our secure, climate-controlled facility until the agreed-upon delivery date. (If you don't know your return date or move-in date yet, don't worry – just let us know once you've finalized your plans.) If your plans change during the storage term and you need an earlier delivery date, a longer storage term, access to your belongings, or some or all of your stored items shipped to a remote location, we can help you with that! Just contact us at The UPS Store. - Can I store my electronics? Use the original boxes and packing materials to pack computers and other electronics to help ensure the safety of the contents. Use bubble wrap to fill open spaces and cushion your electronics. Make certain that boxes are securely taped and that your electronics do not slide, shake, or otherwise move around inside the box. - Can I store furniture? Yes! The UPS Store can store your furniture and other miscellaneous items including microwaves, refrigerators, bikes, trunks, rugs, bookshelves, futons, filing cabinets, and more. If you don't find your item listed on our site, please note it in the comment box when you submit your form, and we will provide a price quote when we contact you to confirm your reservation. - Do you have restrictions on the types of things that can be stored? Yes. The UPS Store cannot accept hazardous materials, liquids, jewelry, cash, or other valuables. All packages must be packed appropriately and in accordance with our packing guidelines. - Do you offer study abroad or extended storage? Yes. The UPS Store can store and return your belongings at any time of the year. Our website pricing applies to items stored from May through August, so please contact us to arrange a different storage term. - What if I decide to ship some of my stored items? Just let us know! The UPS Store will retrieve the items you need to ship, and our Certified Packing Experts will pack them to UPS specifications and send them to you via UPS Ground or Air service. Simply contact us, and we'll be happy to discuss your options. Standard packaging rates and UPS shipping rates apply. - Can I ship furniture? Yes. 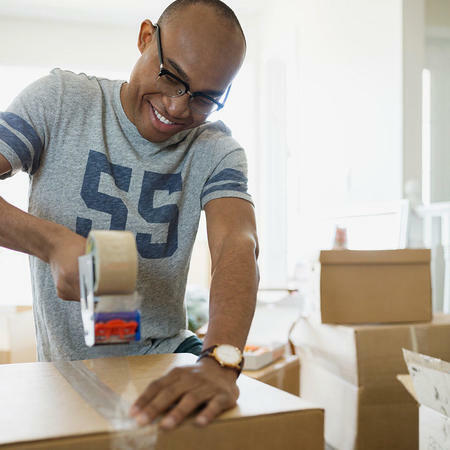 While some smaller items such as a small nightstand or bookshelf might be able to ship standard UPS, larger items will require a freight shipment. Our Certified Packing Experts can pack and ship just about anything! Please contact us to discuss rates and options. - Can I access or pickup my belongings while in storage? Yes. If you find that you need access to your items before the agreed upon delivery date, please contact The UPS Store, and we will arrange to get them to you. Additional charges will apply. - Are packing supplies included in the storage price? Yes. Our storage packages and single-box storage rates include boxes, tape, and labels, as well as free pickup and delivery. - Can I use other boxes besides the ones provided by The UPS Store? Yes you may use your boxes, provided they are in good condition and sturdy enough to safely contain your belongings. Please enter the dimensions (length x width x height) in the comments field, or give us a call for a quick price quote. - Where and how will my packing supplies be delivered? When we contact you to confirm your reservation, we will arrange a time about 7 days before your pickup date to drop off boxes, tape, and labels based on the package you choose. - How do I select my pickup and delivery date? You may specify your pickup and delivery date when you make your reservation. If you don't know your return date yet, don't worry – you can let us know later! We just ask that you give us at least seven days notice to ensure that we can get your items to you on the date that you need them. - Can I specify a precise time for my pick up or delivery? When you select your pickup and delivery date, you will be able to select a window of time for your pickup or delivery. We will call you prior to the pickup or delivery date to confirm the pickup and to provide an estimated arrival time as closely as we can. - I live off-campus. Can you pick up my things? Yes, The UPS Store can pick up and deliver your belongings from your off-campus apartment. - Will you have extra boxes available at pickup time? Yes. If you find that you've underestimated how many boxes you need, just let us know. We can bring additional boxes to your pickup or arrange to have them delivered to you before your pickup, if possible. Please note that additional charges may apply. If you store more (or fewer) items than indicated at the time of your reservation, your final invoice will be based on the actual number of items stored. - What if I don’t know my return address or delivery date at the time of pickup? No worries! Simply let us know as soon as you finalize your plans, and be sure to give us a phone number and email address where we can reach you throughout the term of your storage. - Are items protected against damage or loss? Yes. Our prices include $100 worth of valuation per shipped or stored item. We strongly recommend the purchase of additional valuation in cases where the replacement value of your possessions exceeds $100 per package. Additional valuation can be purchased by checking the box on your order form. - Can I purchase additional declared valuation? Yes. You may purchase up to $500 of additional declared valuation per storage item, up to a maximum of $2500 for your complete storage order. To purchase storage or shipping declared valuation, enter the value of the contents of the item as the declared value. To purchase shipping declared valuation, make sure to input the declared value in the designated field. - What is the cost of the additional declared valuation? The cost for each additional $100 of Declared Value is $3.00. - What forms of payment do you accept? We accept Visa, Master Card, American Express, and Discover. Cash. - What if I need to cancel my storage reservation? We understand that plans change! If you need to cancel your storage reservation, The UPS Store will issue a refund of any prepaid storage costs less the retail price of any packaging supplies delivered to the customer. Simply let us know as soon as you can, before your scheduled pickup date. The UPS Store reserves the right to charge a "no-show" fee for pickup appointments missed without advance notice. Our simple Flat Rate storage prices include FREE curbside Pickup & Delivery. Storage Boxes and tape are FREE! Choose our easy Summer Storage Package, individual storage items, or any combination of the two. All prices include pickup and delivery, plus safe, secure storage in a climate-controlled facility from May through August.